Verizon has announced it will roll out the next generation of wireless broadband in as many as five U.S. markets next year. Known as the fifth-generation – or 5G — of wireless technology, Verizon says these wireless signals will be faster and more robust, bringing consumers much of the content they now receive via copper or fiber cables. Scott Delacourt, an attorney at Washington, DC-based law firm Wiley Rein, says the progression from 4G to 5G is a fundamental, not incremental change. Consumers will notice the difference. "Instead of accommodating hundreds of millions of cell phones and tablets used by people, 5G networks will support billions of connected things," Delacourt told ConsumerAffairs. "This will require a fundamental re-thinking of technologies and networks and identifying a large volume of additional spectrum when radio spectrum is already more intensively used than it has ever been." The move from 3G to 4G gave consumers faster speeds for streaming content. Delacourt says the move to 5G networks holds the promise of transforming whole areas of the economy and consumers’ lives. It can connect vehicles and dramatically improve auto-safety and mobility. It can connect health care devices that take medical care out of the clinical environment and move significant portions of diagnosing and monitoring into consumers’ homes and everyday lives. "In large part, the 5G roll-out is about network densification – dramatically increasing frequency reuse to provide peak data speeds to a greater percentage of the population in a given area than is currently possible,” Delacourt said. Consumers often notice that 4G service can slow down when a large number of people are connected to the same tower and streaming data at the same time. With 5G deployment, there will be small cells scattered throughout the coverage area, dramatically increasing the network capacity and speeds available to consumers. "We don’t know what all the applications of 5G may be, but the ones already on the drawing board are very exciting – connected cars, drone deliveries, connected healthcare devices, smart utility meters, and smart city applications," Delacourt said. This year Verizon conducted trials of 5G residential applications in 11 markets. The company says the trials were successful enough to push ahead with a limited commercial launch in 2018. 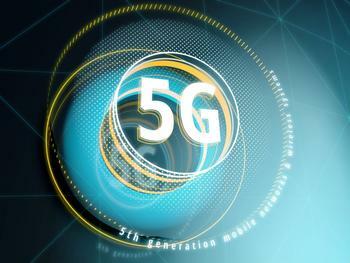 Sacramento, Calif., will be the first market to get 5G services. Verizon estimates a full nationwide roll-out of 5G service has the potential to connect approximately 30 million U.S. households.